Clarks has hit a whole new level of comfort with the Ayla Paige. This lightweight and flexible flat has an upper made of breathable knit that offers a secure fit around the foot. The Ayla Paige is part of the Cloudsteppers™ Collection so it’s sure to offer instant comfort with no break-in period. The OrthoLite® footbed is removable and has layers of Cushion Soft™ padding while the EVA outsole will keep you light on your feet. 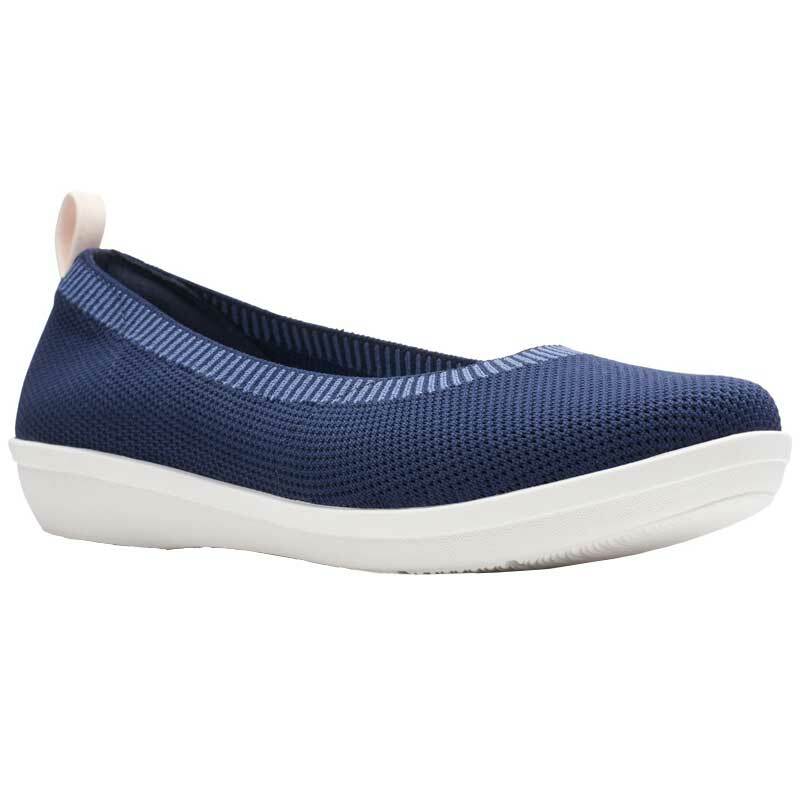 Clarks knows how to make a comfortable shoe and the Ayla Paige flat is proof.